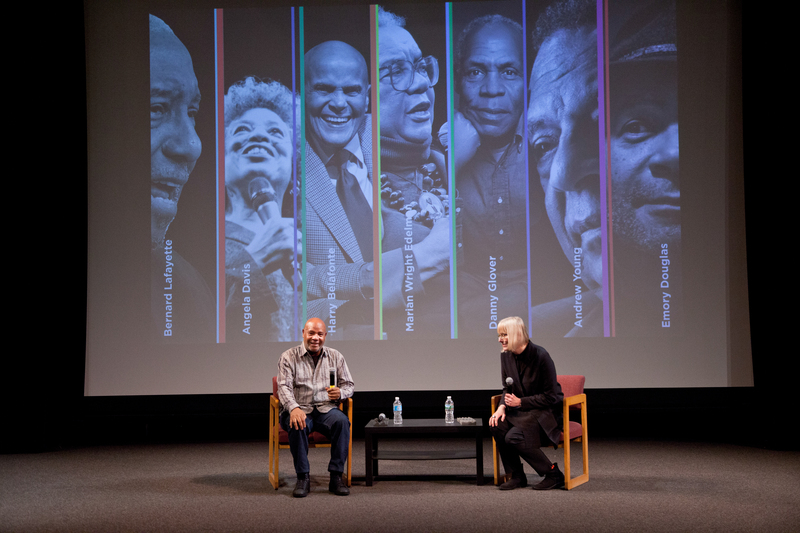 Emory Douglas shares over 50 years of activist art at the RISD Auditorium. 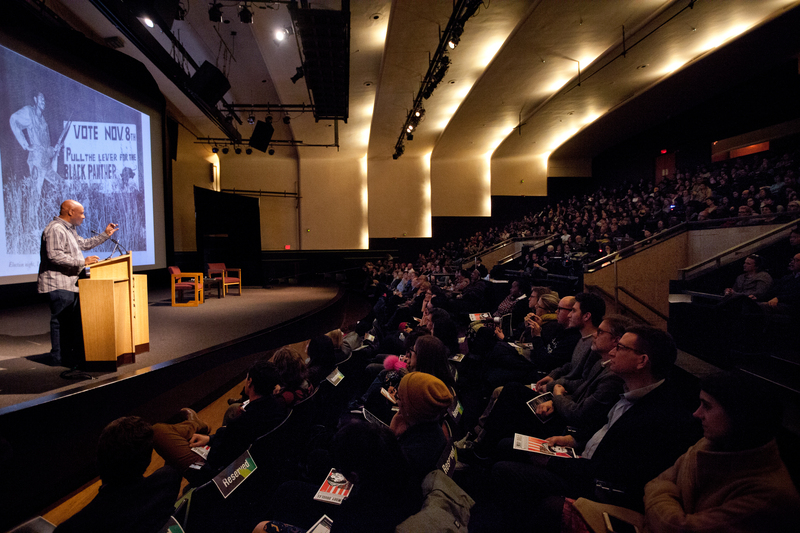 Speaking to a full house at the RISD Auditorium, Douglas wove together commentary on the artwork he created for The Black Panther newspaper and the party’s legacy of community service with insight into his creative process and lifelong fight for global human rights. For members of the RISD and other local communities, his visit to campus shed light on the power of art and design to inform and inspire while challenging prevailing structures of inequality. Douglas began his presentation with a glimpse into the DIY toolkit he used to make such charged images as It&apos;s All the Same and Free the GI’s along with design work he did for black-owned businesses and others supported by BPP community outreach. He emphasized local initiatives ignored by official accounts of party activity—public service efforts such as food drives and sickle-cell screenings—as well as the newspaper’s essential role in exposing police brutality, housing discrimination and corporate control of public policy. “It’s all the same,” he said in comparing injustices of that era with those highlighted through the Occupy and Black Lives Matter movements. More recently, Douglas has been engaged in a number of humanitarian art projects around the world, including a collaboration with Portuguese muralist Rigo 23 and Kiwi artist Wayne Youle for the 5th Auckland [NZ] Triennial in 2013 and a more recent project with students in the city’s Nga Rangatahi Toa program for underserved young people. Among the triennial works he showed was one with a title that largely summarizes his body of work and service: Overcoming Oppression is Our Path to Unity. 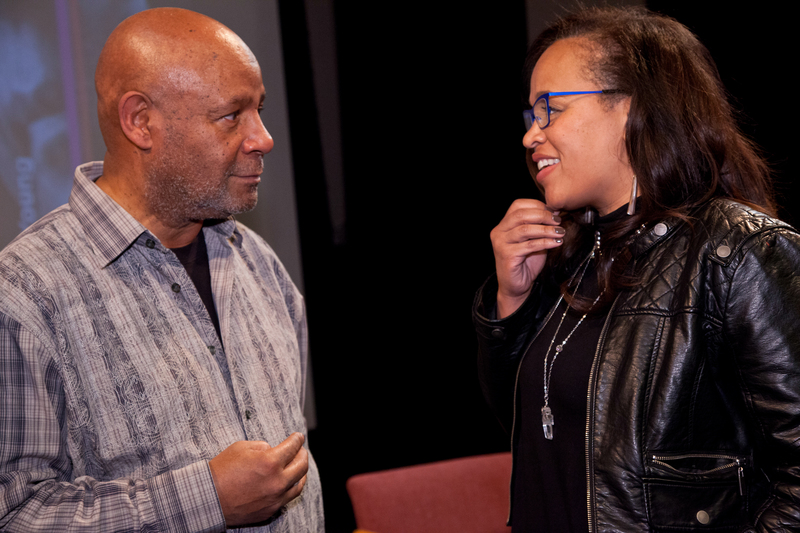 Students invited this year’s MLK honoree Emory Douglas to lead an open critique of the student-curated -ISMS exhibition. MLK 2016 keynote speaker Andrew Young honors King’s legacy with an inspirational, forward-thinking talk at RISD. Iconic artist and author Faith Ringgold encourages students to tap into their talents to tell their own unique stories.